Happy Wednesday!!! We are at the halfway point of the week and it's all down hill towards the weekend! And I am super excited because My cousin Tonya and her family are coming down from Ohio to vacation in Gatlinburg and we are hoping to meet up! !We have not seen each other since we were kids and some of you will remember that I found her via Facebook a couple of years ago. I'm really looking forward to meeting her and her family and getting to see sweet little Nevaeh,who will soon be 3 years old!!! 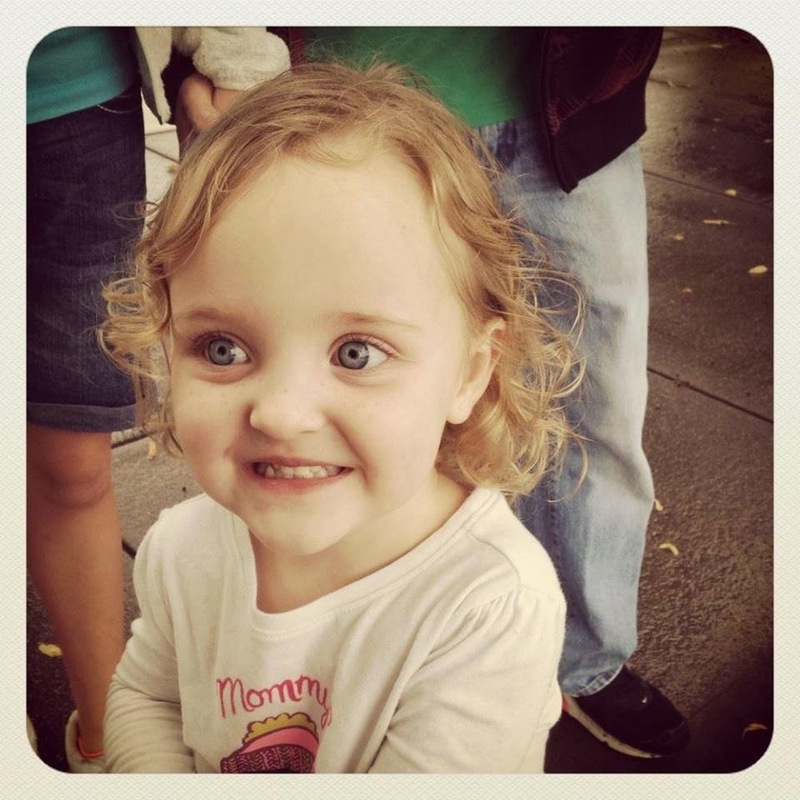 Look at what a doll she is!!! 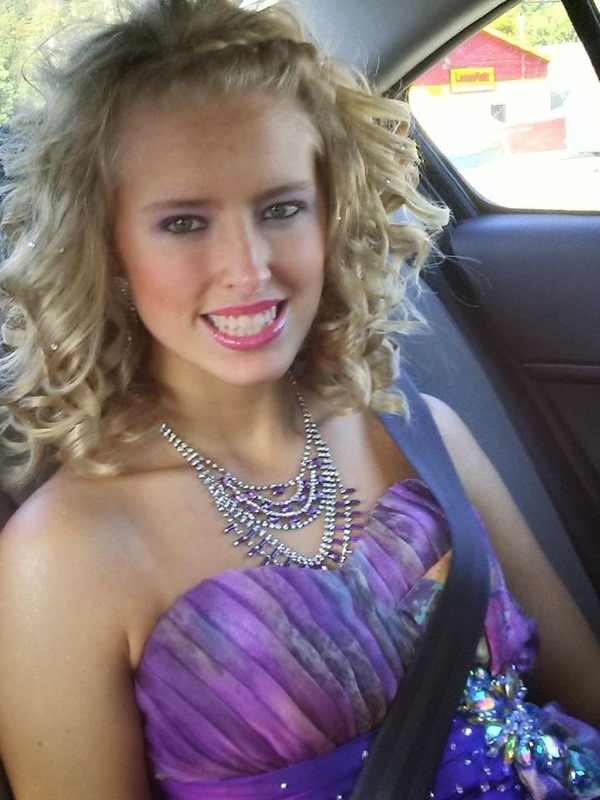 Her older sister beth is A beauty as well...she is just 14.......you can bet Daddy keeps tabs on her....lol. I swear she could model! This was taken prior to her first formal dance at school :) I'm so excited I found these pix too....new girly things to scrap....LOL. So between now and the weekend I'm getting together every layout I ever did and putting them in an album and giving them to her. I have to admit it hurts a bit......lol. Giving away layouts is almost like giving one of my children away. Except at the moment that doesn't seem like a bad idea......lol. More on that another day......let's just say that there has NOT been a dull/quiet moment in my house since last Friday.......I may just jump in the trunk and ride back to Ohio with them.....lol. I have just one layout to share today but lots of places to link it up! And I really went out of my comfort zone by doing a semi clean layout with "gulp" white space!!! I'm a piler, so you ahve no idea the restraint it takes for me to do these kinds of layouts!!! I found this sketch at Scrap365 and I was intrigued by all of the layering.and by the fact that I could , again, use up some scraps!!! Yayyyyyy!!! As I said, lots of stash busting here. I placed these random whit thickers down first and then built my layout on top of it. Kinda a cool thing to do when you don't have the letters to make an actual word.....lol. I will be doing this more cuz I really kinda dig it :) Then I literally pulled out a hand full of scraps and just layered them til I liked it and then stapled in the center. (Papers are from Echo Park and MME.) I added foam squares and sat atop the thickers, matted my photo with the packaging from heidi Swapp's little arrow bits I used, and again added foam squares to that. 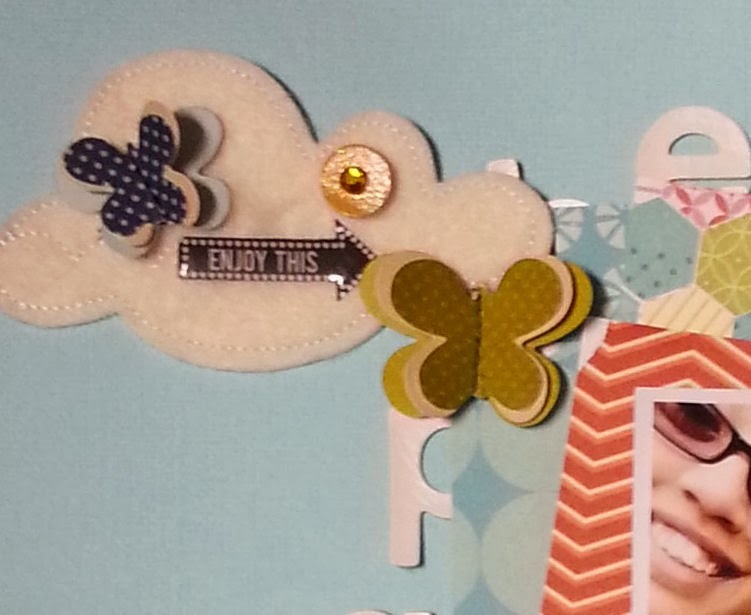 I'm not sure where the cloud came from but its felt and I added pebbles butterflies and American Craft bling bits. 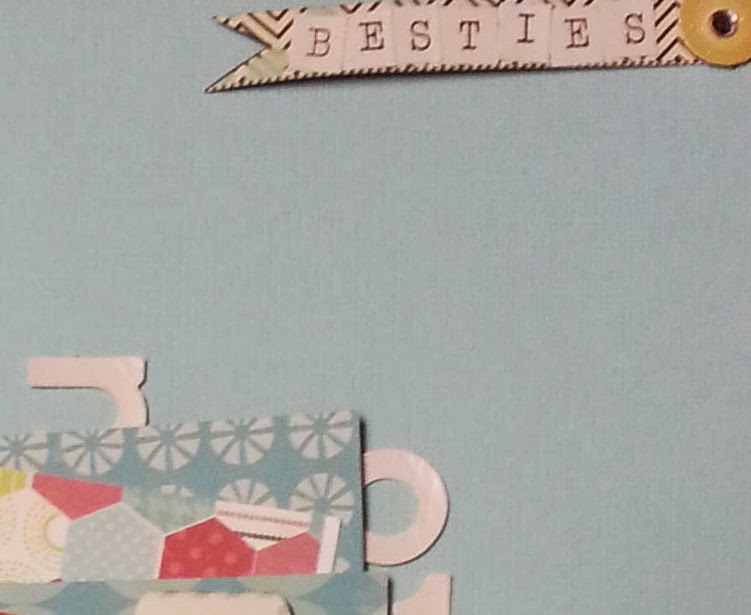 The pennant at the top is the border from Pink Paislee's Hey Kid collection and the tiny type also from Pebbles. I love, love, love how this came about and it is not my typical style at all. 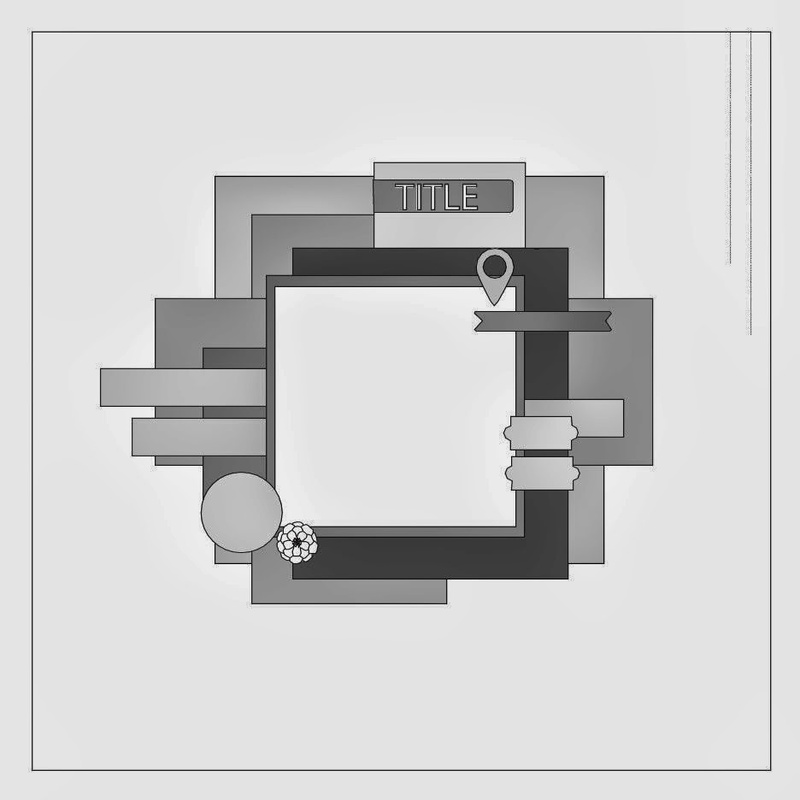 I do love clustering and layering but I never leave this much white space. I'm so proud......lol. 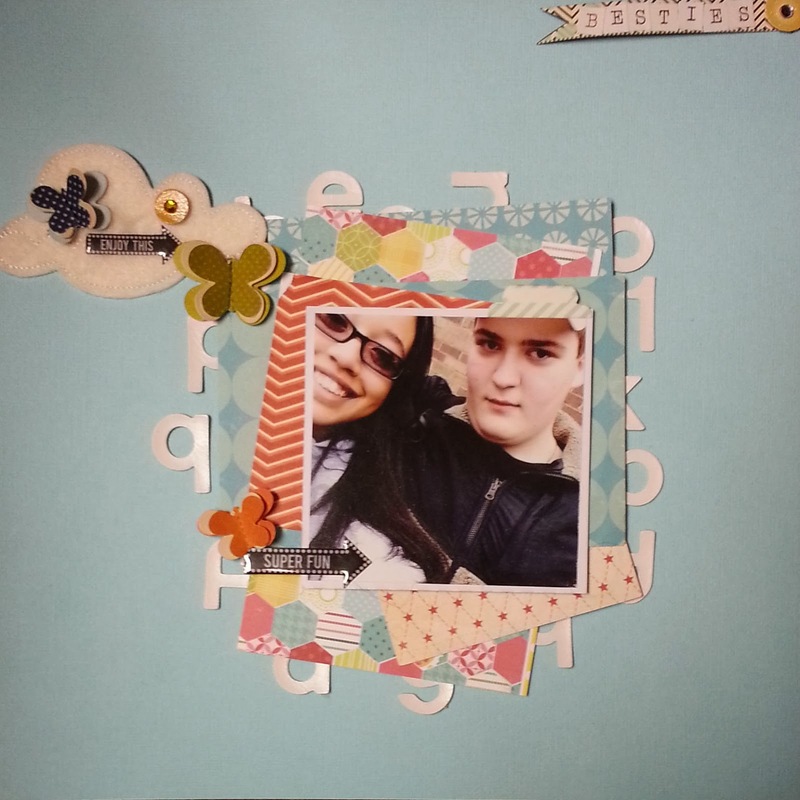 Lots of layering and 3d elements for Quirky Crafts "Layer Pile and 3D" Challenge. And nothing really says "Spring" like some bright and fun color and butterflies for Lil Red Wagon's "Yearning For Spring"
I'm hoping to get some crafty completed today but we will see......I made my kids clean their rooms last night and I have a ton of laundry that has appeared out of nowhere. Maybe I can scrap between loads and fit in a couple more of the February challenges before they end Friday!! Hope you are having a great day and thank you for dropping by and saying hello!!! I love love love this!! LOVING the colors and layers!!! And your cousins are soooooooooooo beautiful!!!! Terrific layout! You used lots of great techniques on it! Thanks for sharing at Little Red Wagon. What a Fantastic layout you have. the girls are beautiful and hope you get to spend some time with them. I to am from Ohio but it is to cold there now so live in Fl. Thanks for joining us at Tuesday Throwdown Challenge. Super cute layout with delicious details! Great layout! Thank you for joining our Anything Goes Challenge over at Love to Create this week. So excited to see your page. It looks great! 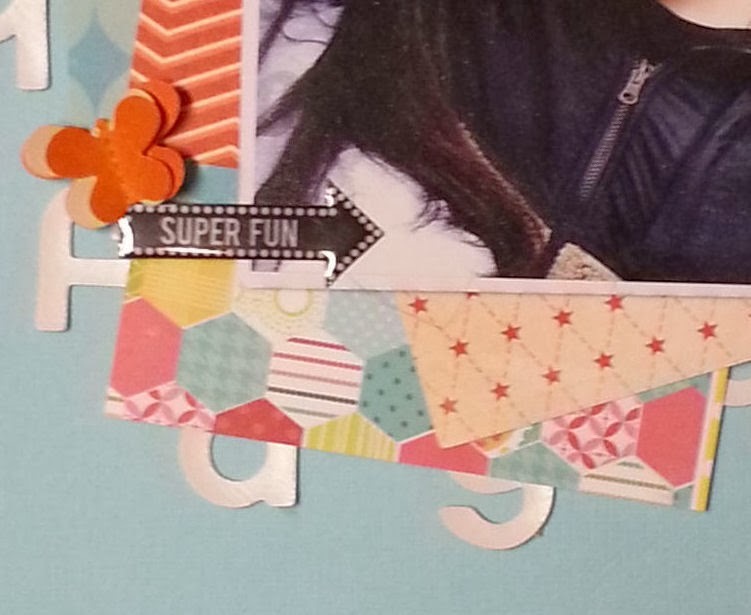 Thanks for linking your card up to the MFW Happy for Hexagons challenge! I'm glad I stopped by! Lovely LO!! Thank you so much for playing with us at Scrap365!! Really cool page! Great color scheme!